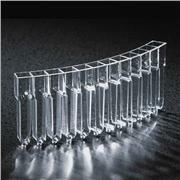 Globe Scientific's 12-place Cuvette segments are designed for use on the Cobas Mira®, Mira S® and Mira Plus® analyzers. 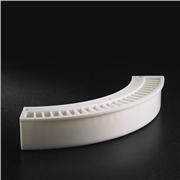 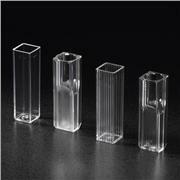 They are sold individually wrapped or in racks of 15 cuvette segments. 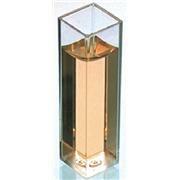 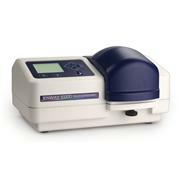 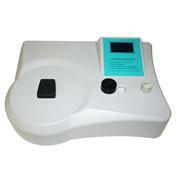 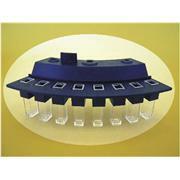 Spectrophotometer assay cuvettes, 1ml reaction volume, not suitable for UV absorbances. 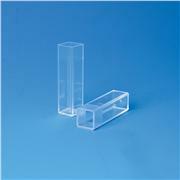 Available as 1 box of 100 cuvettes or a pack of 5 x 100 cuvettes. 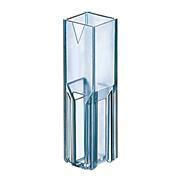 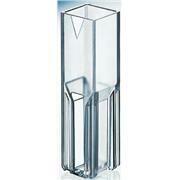 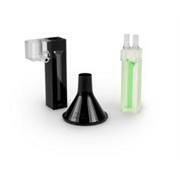 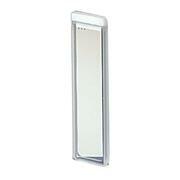 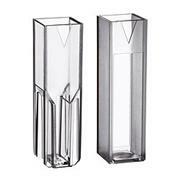 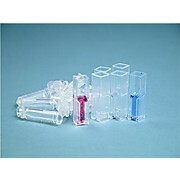 Semi-micro cuvettes Vis 300 nm-900 nm, plastic cuvette for measurements in the visible range, max. 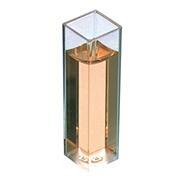 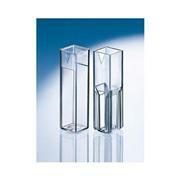 Filling capacity 3.0 mL, 10 × 100. 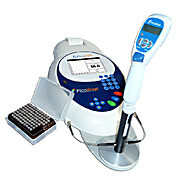 …integrated with a windows-based computer for further data processing and analyses. 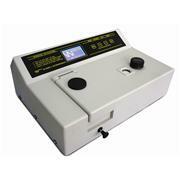 Optional software packages are available. 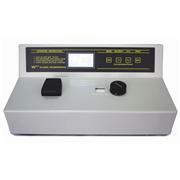 The spectrophotometer comes standard with a four cell (four position) 10nm, square cuvette changer, set of two optical glass square cuvettes, dust cover, and user manual. 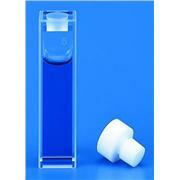 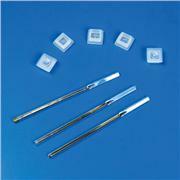 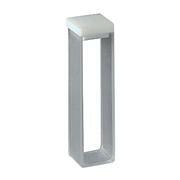 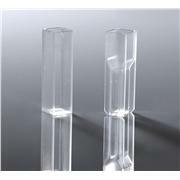 Globe Scientific's 8-place Cuvette segments are designed for use on the Hitachi® 902 analyzer. 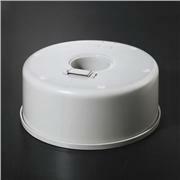 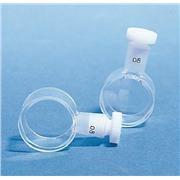 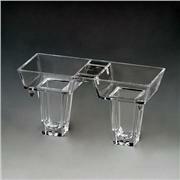 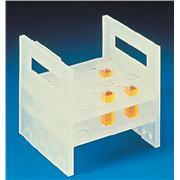 Globe Scientific's polystyrene (PS) dual well Cuvettes are designed for use on the Coag-A-Mate® XM analyzer.